I’ve been on an adventuring kick since then. Mainly because it keeps me inspired by getting me to photograph life for fun (again,) keeps me fit, and gets me away from the desk –bonus points! On this outing, my buddy Yohan and I took a long uphill trek to the top of Mount San Antonio (or Mount Baldy as the locals call it.) Let’s just say –this isn’t an easy hike. But! It’s one of the most beautiful ones I’ve been on that’s within the Los Angeles region. Yohan rocking his Canon 6D on top of a water fall. The best part about this journey to the highest peak in Los Angeles County was simple how unmanufactured it felt. For the most part the trail was unpaved and was completely surrounded by different forms of nature. You know trees, fresh unsmoggy-yellow air, snow? !, big rocks, etc. 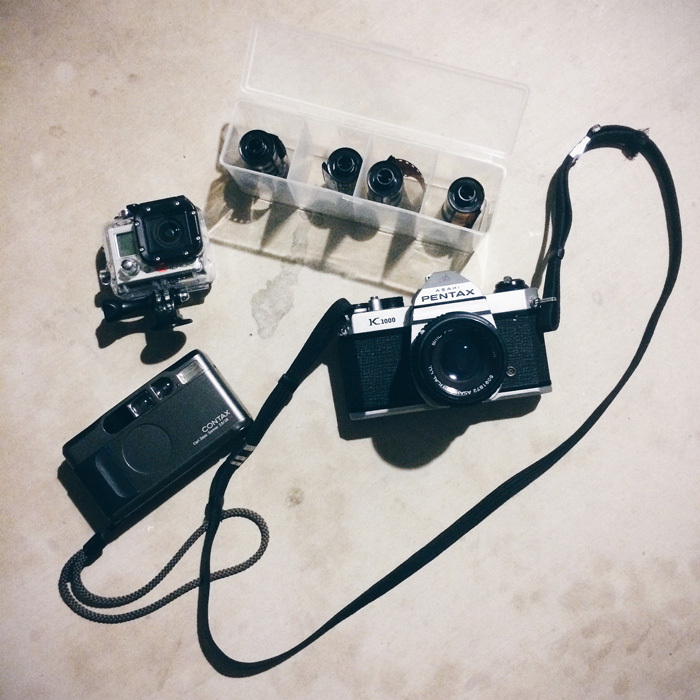 I documented out trip using my iPhone 5s (see above slide gallery) and a slew of 35mm cameras. I’ll probably do another post in the future featuring my 35mm shots once I get my film scanner in the mail. Even my Batman decided to tag along! If you decided to do this hike in the future make sure you stop by the Ski Hut on the way down. There’s a nice Czech that you can politely join for shots of vodka. WOW! I might build up my endurance for hiking and make this be my full day hike goal. 🙂 It’s beautiful Melly!